Hi, I'm a skilled and experienced Graphic Designer. For the past 10 years, I've worked as an independent contractor for companies such as Microsoft, InfoSpace, RealNetworks, T-Mobile, and many others. I've been on Upwork for the past month and have gotten 1 response but no gig. I've taken a look at other portfolios and feel that mine is strong and competitive, actually, I can't believe some of the people making the money they make doing the work they have done, but more power to them. If somebody could give me some insight that would be great, and please feel free to speak freely. I feel you man. I don't have a resume up yet but I had one on **Edited for Community Guidelines** for a few months and not one person contacted me. I'm new to web design so I didn't plan to make a ton of money so I set my rate low and I knew I could do the job but just couldn't get anyone to contact me. I'm now with a few more months of experience so able to offer a better service. I'm going to review my ad and compare it to what others have posted to see why my ad isn't working and keep my fingers crossed. Good luck to you and keep your spirits up. keep testing. 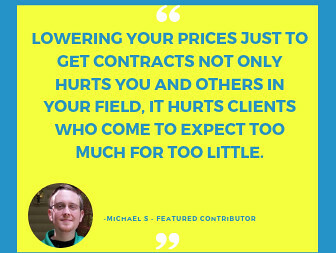 Take this with a grain of salt, but if I saw someone with your experience charging as low an hourly as you do I would be confused. At least in my area, an experienced graphics person charges three times that. Well, I'm sorry to hear you got no work, you have a great portfolio. 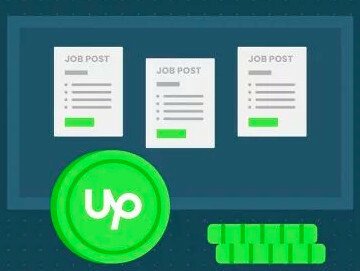 Upwork is kind of hard at the beginning, unfortunately, most of the clients look at our reviews and not our portfolio! I had many situations when the clients tell me that they didn't know or saw that I have a portfolio on my profile, so I usually send pics with my work samples in the proposals. I think most important is to make some 5* reviews at the beginning, when I've first started here I made 30$ the 1st month haha, and after that, I've started growing, I think it takes some months to make a steady income here and regular clients. Thank you for your input and your encouragement Alexandria much appreciated. Your profile description needs to be optimized to highlight the types of materials you can create for clients. Think of it just like optimizing a web page: you're not going to show up in a search for "XYZ designer" if your page doesn't say "XYZ" and "designer." 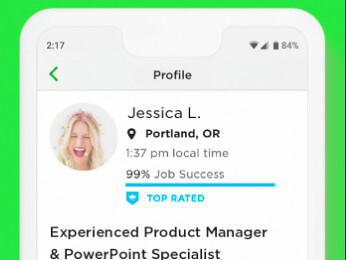 Right now, your profile doesn't tell anybody exactly whay you can do. I'd try to show more variety in your portfolio — more brands and different types of projects. Edit the testimonials in your profile down to one sentence. There's a realy solid sentence in each one, but very few people will read a paragraph-long endoresement. Charge more. Your rate is too low for someone with your experience. You'll lose out on the low-end jobs (no $50 logos) but it will position you better for the sophisticated buyer who's looking for a true professional. I'm feeling the same way. I'm wondering if my hourly rate is too high (just posted that question above) but I'm not really willing to lower my rate because I think it's fair considering my experience level. Maybe everyone is out bidding with ridiculously low rates? Derek, It took me over two months to get my first job. I was about to give up when i bid on a job for a ridiculously low rate, Got the job. Did not make much on it but made the client happy, got a great review and after that i started getting hired. breaking in is the hardest part. One suggestion is more light on your profile pic, you are kind of in shadow, and smile too. I know it's silly but that matters to some people. lastly i have found that specializing is better than offering a lot of services. I know it's weird because what graphic designer only does one thing, but when i narrowed my skills offered to one main thing i got hired more. other than that it is a tough place to make a living and work consistently but after you get the first job it gets easier. good luck.